(x) Dismiss Get a FREE! 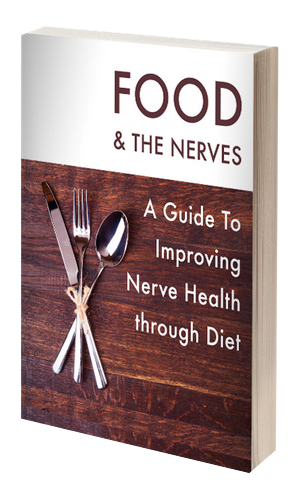 copy of the powerful book "Food and the Nerves"
We appreciate your continued use of our products and we work hard to offer the best natural products for nerve pain. Most of you are aware of the product name change that we announced a few months ago. This name improvement has not changed our formulation. The same clinically tested ingredients, dosages and strict manufacturing standards are still in place and will continue to be provided in each capsule and bottle of our formula. We recognize that our products are valued by many that suffer from neuropathy as well as other nerve related issues. The name change from “Nerve Renew" to the new name " Nerve Renew" is simply an effort to broaden visibility to those suffering from various other types of nerve aliments. Nerve Renew is now called Nerve Renew! If you have any comments or questions. Feel free to call us at 1-888-840-7142 or email us at support@neuropathytreatmentgroup.com. We’d love to hear from you. If you have friends or loved ones suffering with nerve pain, don’t let them go another day without trying Nerve Renew, help us spread the word! Get the most complete nerve supplement on the market and find out why we are the only company able to offer a 1 year money back guarantee. You don't realize it yet, but in the next couple of minutes, you're going to learn about an all natural formula with ingredients backed by peer reviewed clinical studies. I am going to show you how these ingredients have been shown to improve nerve health and let you return to a normal life. My name is Wes Jones, and I'm the president of the Neuropathy Treatment Group. We specialize exclusively in the research of natural ways to reduce symptoms related to all forms of neuropathy. in fact, we don't offer any product that aren't related to relieving the symptoms of neuropathy. If you suffer from this disease you'll want to hear how Michael Brady overcame his nerve pain after 10 years of suffering. Michael worked as a structural engineer until he had to retire because of the pain from walking that his job required. He eventually had to give up his active lifestyle. Michael had been diagnosed with Type 2 Diabetes years ago and had suffered from peripheral neuropathy for nearly 10 years. Neuropathy is commonly brought on by diabetes. And for Michael it all started many years ago with tingling and numbing around his big toe and as time passed the numbing advanced to his other toes on both feet. He didn't think much about it until he started experiencing pain and burning in his feet. So that's when he went to see his doctor and found out that the pain and burning was caused from peripheral neuropathy. Many treatments and medications did not help. "You'll just have to live with it" was his doctor's diagnosis. All he could do for Michael was to prescribe pain medication, which he stayed on for years. What's more, Michael hated how the pain killers made him feel, but if he wanted to function, he had no choice but to stay on them. Even worse, he lived with it for 10 years as the disease progressed to a point where he finally became desperate. Michael turned to the internet and found that there were alternatives. He found that some people were getting relief from vitamin B shots. Others were using hot/cold packs but they were not getting the sustained relief that they were looking for. The medical community treats the condition with anti-depressants, anti-convulsants, steroid and cortisone injections, lidocaine patches and pain killers. They also use non-medicinal treatments such as electrical stimulation to the pain site and to the spine. Doctors recognize the need for additional solutions to this wide spread, sometimes debilitating condition but their busy practices make it difficult to stay on top of the current nutritional research. Michael found a doctor who treated his neuropathy with Vitamin B and Alpha Lipoic Acid shots. He spent several months going into his office each week for the treatments, but they were costing him a fortune. And it was a pain getting in to see the Doctor every week, even though he was experiencing some relief. His doctor finally suggested that he find a good vitamin B supplement with high concentrations of Vitamin B-1, B-12 and Alpha Lipoic Acid. He felt that in order for the vitamin B to really have an effect, he needed to take it every day. Michael ended up taking 4 different supplements to get the dosages he recommended but it was costing him over $100 a month and still not giving him satisfactory relief. Then one day while searching on the internet, he found the Nerve Renew. There is no other formula on the market like this. It contains the most powerful and clinically proven forms of B vitamins, Stabilized R Alpha Lipoic Acid, anti-oxidants and herbal extracts. All the ingredients have been clinically proven to reduce neuropathy pain and discomfort. And to Michaels delight, the Nerve Renew was less expensive. He showed the ingredients to his doctor and he recommended that Michael continue using the product, as he was experiencing wonderful results. Plus, he started recommending Nerve Renew to his other patients. The following is the letter we received from Michael. After 10 years of suffering, thanks to you, I finally found an effective product. Now after months on the product, my neuropathy symptoms are almost gone. The tingling and numbness in my toes and legs are gone. I now have the ability to experience touch without pain. The feeling of cold and burning in my feet and legs is gone. I am off prescription pain medications and I no longer feel pain when my bare feet touch the carpet or rub on my sheets. I can even work around the yard again. My wife and I are riding our bikes again, which I never thought would happen and I now have complete mobility. I have been able to return to my active lifestyle and I am even playing golf every week. I can't thank you enough for this life-changing product. I would recommend this amazing product to anyone suffering from nerve pain like I was*. So what enables the ingredients in nerve renew to be so effective at relieving the pain, numbness, burning, and tingling of nerves? To begin with, Nerve Renew is loaded with vitamin B. So are our competitors, but that's where the similarity between our formula and others ends. Instead of thiamine, Nerve Renew uses a form of vitamin B1 called benfotiamine. That means when you take Nerve Renew, you get more vitamin B delivered to your cells where it's needed. With benfotiamine, the sustained increase of Thiamine Pyrophosphate (TPP) can produce beneficial effects on general nerve health. There is minimal to nil downside in trying benfotiamine and the individual results have the potential to be quite significant. The daily dose of Nerve Renew contains 600mg with a 27,500% daily value rating established by the FDA. And, it's fast-acting: a German study found that benfotiamine can relieve neuropathy pain within 3 weeks. These special forms of vitamin B are effective, but 100% Stabilized R-Alpha Lipoic Acid (R-ALA) can lead to significant reduction of nerve pain. the blood/brain barrier to enter the brain and go directly where it is needed most. Most importantly, R-ALA is the only antioxidant that has the unique ability to regenerate itself and other antioxidants such as B vitamins. Researcher L.Androne found that "The antioxidant therapy with r-alpha-lipoic acid improves and may prevent diabetic neuropathy." Our research team also found that the medical literature revealed that there are quite a few herbal extracts that can reduce pain in general and nerve pain in particular. Of these, our researchers, scientists and doctor formulated a proprietary blend of vitamins and herbal extracts and added it to Nerve Renew. Vitamin B6 - 8mg at 400% daily value. Studies show that in small doses, B6 can be very beneficial for nerve health. At larger doses in excess of 100mg per day, it can have an adverse effect on nerves. absorbed into your stomach and intestines. Our manufacturing process conforms with or exceeds standards set by the U.S.
Government. Our facility undergoes 2 audits per year by a 3rd party that certify that we meet GMP's. Claim your free 2 week Trial of Nerve Renew! "Haven't been woken up once with my legs on fire"
I would like to cancel my subscription for Nerve Renew. I have been on it for some months now and it has helped me so much. The sensitivity is gone and I'm so grateful for your product and what it has done for me. "I consider this a medical miracle"
"Nerve Renew has been a God send"
"My neuropathy is 95% better"
I wanted to let you know that your Formula worked for me and I am thrilled. I have been taking it for four months and my neuropathy is 95% better. Thank you so much. I have given this formula to my Chiropractor and neurologist who wanted to know the miracle formula for helping my pain. Hopefully they will refer patients to your website for orders. This is wonderful. I plan on writing on your website to brag about the success of your product. "The burning sensation on the soles of my feet has disappeared"
"The product does everything you say it will"
"These findings indicate that methyl-B12 promotes regeneration of degenerating nerve terminals"
"An overall beneficial therapeutic effect on the neuropathy status was observed in all three groups during the study, and a significant improvement in most of the parameters studied appeared already at the 3rd week of therapy. The greatest change occurred in the group of patients receiving the high dose of benfotiamine"
"It is quite clear that benfotiamine is absorbed much better than water-soluble thiamine salts: maximum plasma levels of thiamine are about 5 times higher after benfotiamine. The bioavailability is at maximum about 3.6 times as high as that of thiamine"
"Ultra-high dose methylcobalamine promotes nerve regeneration." "The active group showed statistical improvement... and no side effects were encountered." "The antioxidant therapy with R-Alpha-Lipoic Acid improves and may prevent diabetic neuropathy." "Treatment with R-Alpha Lipoic Acid over 3 weeks is safe and effective in reducing symptoms of diabetic peripheral neuropathy"
"Oral treatment with R-Alpha Lipoic Acid for 5 weeks improved neuropathic symptoms." "The active group showed statistical improvement in the somatic and autonomic symptoms with regression of signs of diabetic neuropathy. The drug was easily tolerated by the patients and no side effects were encountered." We guarantee that if Nerve Renew™ hasn't helped reduce your pain, numbness, burning, and tingling... or you are not fully satisfied for any other reason (or for no reason at all)... you will get 100% of your money back on your most recent order. (Minus the cost of S&H).That's right - that means you can try out Nerve Renew at my risk, and request a refund any time within 1 year of your most recent order! Look: 30 days from now you can be nothing more than a month older, or you can be taking steps towards improving your well being, you decide. You have nothing to fear, because you're protected by a full 1 year guarantee. You have nothing to lose by giving the Nerve Renew Formula a try. If it doesn't produce results, I honestly want you to ask for your money back! If it doesn't work, it costs you nothing. If it does, it will change your life forever. I Want To Try This For Myself. What Do I Do Next? If you were to try and buy all of the ingredients in Nerve Renew, you would spend over $123 and have to take 9 or more capsules per day and you still wouldn't match our proprietary blend and guaranteed potency. For a limited time, we will send you a free 2 week supply of Nerve Renew and enroll you in our "Preferred Customer Program." You pay just $6.97 to cover shipping and handling. That's right. You will receive a free trial bottle and membership into our preferred customer program which qualifies you to receive a full $20 discount on all your future bottles of Nerve Renew. And so you don't go a day without Nerve Renew capsules, you'll automatically receive a fresh bottle every 30 days and your credit card will be billed the preferred member price of $49, plus S&H - not the $69 non members have to pay. There are no minimum amounts of bottles to buy, and you can pause or cancel at any time. Your trial bottle will give you a full 2 weeks to make sure the product is right for you. At the end of the 2 weeks, if you're not completely satisfied, you can cancel without obligation. Of course, you can also order a single bottle at our regular price of $69 or a discounted 3 month supply without signing up for our Preferred Customer Program with automatic shipments. You can either continue living with nerve pain and the tingling, burning, and numbness. Or you can take action today, right now, by looking at the research and ingredients in Nerve Renew and making the same choice that thousands of our customers have already made. So order today, right now, while it's still hot on your mind. And be prepared to regain your life. This offer may not last long. Rush me a 1 Month Supply of Nerve Renew. No automatic shipments. 3 Month Supply of Nerve Renew. Save $60 off Regular Price. No automatic Shipments. After 2 weeks, a 30 day supply will be delivered at the discounted price of $49 each month. I can cancel monthly shipments at anytime. Yes, It saved my life over 2 years ago..I still take the Nerve Repair Optimizer and Nerve Renew today! I never want to go back to all that nerve pain... You can't put a price on your health...It took 4 months to get rid of all pain!. "This is my 3rd order"
I am seeing a big difference in myself and the pain. Thanks! "I would have to buy 40 years worth!" If you ever go out of business, please give me a warning. I would have to buy 40 years worth! That would get my wife to 107, and that should be long enough. This is the only thing that takes away my wife's Neuropathy in her legs! I have been taking NerveRenew for over a year now and I can't believe the difference, the only problem I still have a tingle in my hands once and awhile. "It took my discomfort down more than 80%"
I have been on this formula for a few months and I have to say that it has worked for me. I was totally surprised because I didn't expect it to do so but I thought it was worth a try because you can get your money back. I would say that it took my discomfort down more than 80%. I hope it keeps working so that I can relax and not be bothered so much. It works...I could not even stand up without screaming..in a months time, I improved, within 2/3 months I could walk..try this, it works, you have nothing to lose. The ingredients in Nerve Renew have been researched and scrutinized by a team of scientists and doctors, and now you can try it without risk or obligation. So what are you waiting for? To order the Nerve Renew, Just select your order option above or call toll-free 1-888-840-7142 to speak with one of our specialists. Our specialists’ hours are Mon-Fri 7:00am to 7:00pm MST & Sat 9:00am to 5:00pm MST. P.S. It is important to understand that neuropathy is a condition that if you don't take effective action against, it simply gets worse. Don't delay. the only company able to offer a 1 year money back guarantee. Need help with your order? Questions about our formula? Our highly trained specialists would love to hear from you. Contact us anytime by phone or email. Our industry leading money back guarantee covers your most recent order for up to 1 year! They said we were crazy for offering a 1 year guarantee but we stand behind our product. Try Nerve Renew risk free. Every testimonial on our site is a testament to the power of our formula. Don't take our word for it, read through the testimonials to learn how our formula has changed the lives of thousands of people. Nerve Renew only uses ingredients backed by clinical studies. You can find information about these studies on our "Clinical Studies" page and we encourage you to learn about the results for yourself. Our manufacturing facility follows all GMP's and undergoes voluntary 3rd party audits twice a year. Every ingredient is tested for potency and purity before it is mixed and bottled. All of our ingredients are hand selected and tested to be of the highest quality. We always use the most bio-available forms of vitamins. Our lab uses NIR (Near-infrared) technology to test each ingredient that enters our facility.